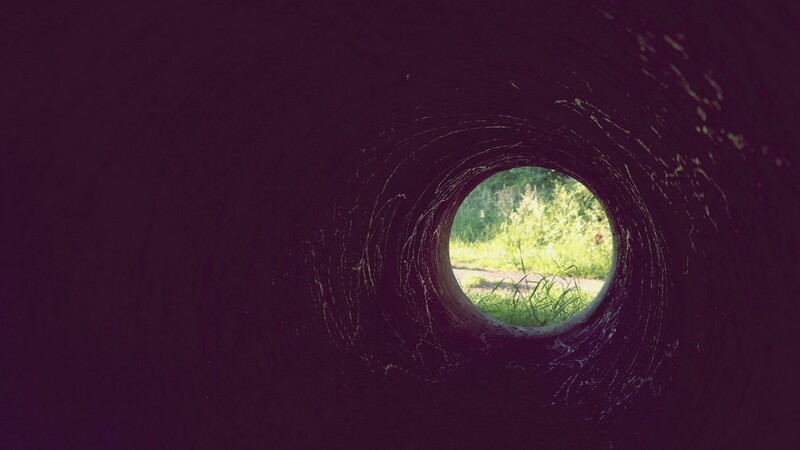 When is the last time you found yourself staring down the metaphoric rabbit hole at work? It happens to most of us when we allow ourselves to become overwhelmed with a challenge yet to be solved — be it dealing with a difficult colleague or ideating on a new product design. Challenges are all around us in the workplace and it’s easy to let them get the better of us when we fail to keep things in perspective. Here’s three concepts to keep in mind the next time you find yourself jumping from one issue to the next while losing sight of the real challenge at hand. Take the 30k foot view. Ever notice how much easier it is to put things in perspective when you’re looking out the window at cruising altitude? Forget the details when tackling a new challenge and work from the top down taking a very broad perspective of things. Focus on the bigger picture and don’t allow yourself to become consumed with all the other things yet to be worked out. There’s time later to work on the details. Know where you add value. Nobody is an expert in everything. So why put it upon yourself to handle every facet of a new challenge? Tap into your particular areas of expertise to work through things while bringing in other domain experts to help where you aren’t as strong. Sometimes just talking through a challenge with a colleague or coach is all you need to keep you focused on the things that matter. Give yourself time. Rome wasn’t built in a day and most complex challenges can’t be solved on the first go around. Create space to think with a clear head. How about giving yourself time to take a walk during the day? Numerous studies have shown that walking spurs creative thought. Leave your devices on your desk and give it a try. You’ll also find a distraction free walk allows you to let go of all the secondary issues that crept up on you so you can stay focused on the main challenge at hand. While these three concepts won’t solve problems for you, they will keep you from falling down the rabbit hole. In most situations that’s half the battle. Alex Green is an ICF credentialed executive coach and leadership development consultant. He helps companies and nonprofit organizations succeed by improving the effectiveness of their leaders, management teams and board of directors. You can find him on Twitter @agthreesixty and LinkedIn.